The run-up to the October 2017 vote to replace Thomas Mulcair as leader of the federal New Democratic Party (NDP) has been a pretty pedestrian affair, with uninspiring candidates (Charlie Angus, Niki Ashton, Guy Caron and Jagmeet Singh) all making it clear that they have no intention of trying to create any serious difficulties for Canada’s ruling class. Given its pro-capitalist program and willingness to get into bed with the Liberals at the first opportunity, Canada’s labour party inspires little enthusiasm among class-conscious workers or radical youth looking for serious social change. 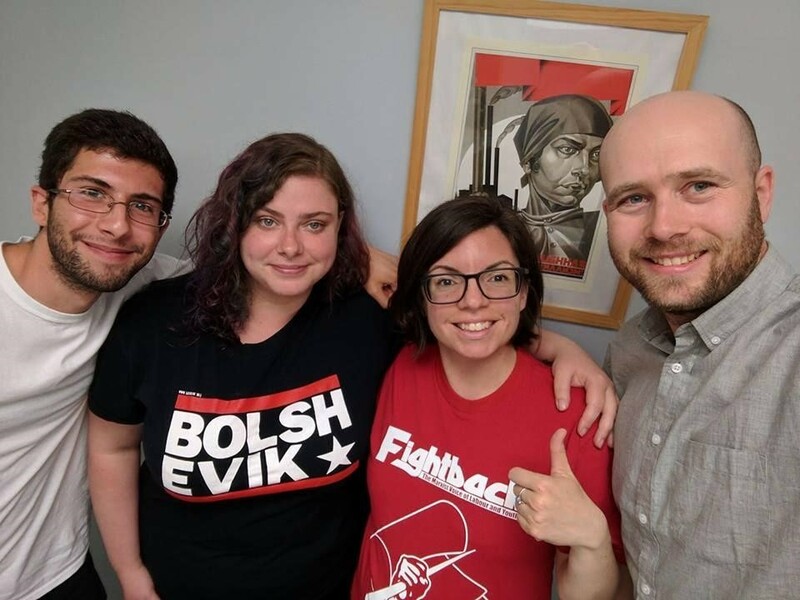 The position of much of the self-proclaimed “revolutionary” left, including Socialist Action and the International Socialists (IS), is to advocate voting for the NDP regardless of its policies. Neither of these groups has shown much enthusiasm about the leadership contest, though Socialist Action backed Ashton in the previous contest in 2012 and the IS describes her as having a “reputation as the most left candidate” in the race. Fightback’s leaders are obviously aligning themselves with Ashton in an attempt to build a constituency in the NDP. This sort of small-time reformist hustle has nothing in common with the revolutionary tradition of Lenin and Trotsky to which its leaders lay claim. Fightback’s real politics were starkly exhibited in 2011 when their obituary for Jack Layton soft-pedalled his actual political record and praised “our Party leader.” Their statement not only “salute[d].a fighter who will be missed by millions,” but suggested that Layton’s earlier sub-reformist career provided a “model”: “We should all cherish Jack’s roots of activism and social justice, from his days in Montreal and Toronto City Council, and let it serve as a model for our party’s future” (see “IMT Glorifies Layton’s Legacy,” 1917 No.24). Since its origins as the Militant Tendency in 1964 (see “Marxism vs. ‘Militant’ Reformism”), the leadership of the International Marxist Tendency (IMT) – to which Fightback belongs – has consistently supported the British Labour Party, including during the Tony Blair “New Labour” years of austerity and imperialist war. Today, the IMT falsely claims that “Corbyn has the potential to galvanise a movement based on a bold socialist programme” (“Mass rallies seen as Corbyn Labour campaign takes off,” 16 May 2017) and “transform the Labour Party into a real socialist party” (“Why the RMT should affiliate to Corbyn’s Labour,” 25 August 2017). In fact, Labour is an obstacle to the creation of a “real socialist party,” and Marxist electoral tactics – including critical support to Corbyn’s Labour Party – are aimed at destroying, not creating, illusions in it (see “Election 2017: A Choice for Workers”). The NDP, like Labour, is what Marxists call a “bourgeois workers’ party” – a party linked to the workers’ movement (via the trade unions) and whose bureaucratic leadership’s pro-capitalist ideology makes it politically subordinate to the capitalist class. While occasionally spouting “anti-corporate” and “progressive” rhetoric, the “maximum program” of the NDP’s social-democratic leadership is administering the imperialist Canadian state on behalf of monopoly capital. Ashton’s tepid reformism has not inspired much popular interest, so there are few illusions to dispel by putting her to the test of office. The job of revolutionaries is not to seek to breathe life into the “stinking corpse” of social democracy but to work to expose it as a political agency of capital within the working class, which needs a mass revolutionary workers’ party. Fightback has a different approach – it sees the NDP as its natural home, and only aspires to better position the party for electoral success by nudging it to the left.